Takata recall: 33.8 million air bags from manufacturers including Honda and Toyota affected. 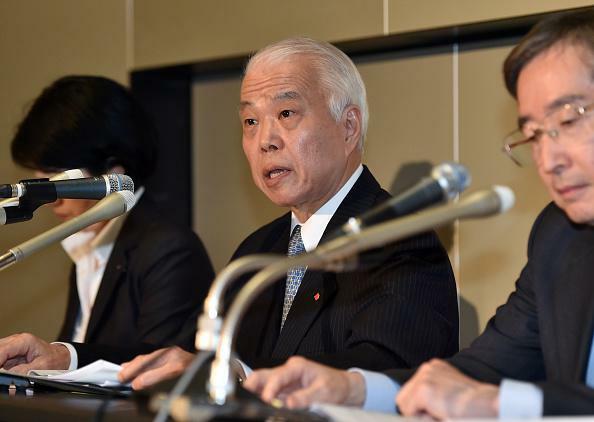 Takata executive Yoichiro Nomura on May 8. The chemical that inflates the air bag can explode with too much force, blowing apart a metal inflator and sending shrapnel into the passenger compartment. The faulty inflators are responsible for six deaths and more than 100 injuries worldwide. The announcement was made Tuesday afternoon by the heads of the Department of Transportation and the National Highway Traffic Safety Administration, which reached an agreement with Takata after sparring with the company for the past year over the size of the recalls and the cause of the problem. This National Highway Traffic Safety Administration website will be updated so drivers can check whether their car is subject to recall. The previous largest-ever recall occurred in 1980 and involved a transmission problem in 21 million Ford cars. In 2014, General Motors issued a number of different recalls, which ultimately affected a total of 30.4 million vehicles.